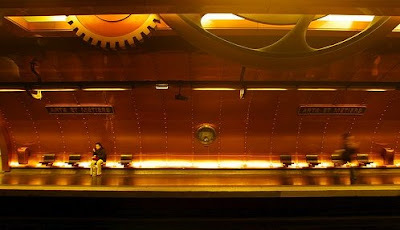 Steampunk metro station in Paris. It takes its name from the Paris museum: Musée des Arts et Métiers. 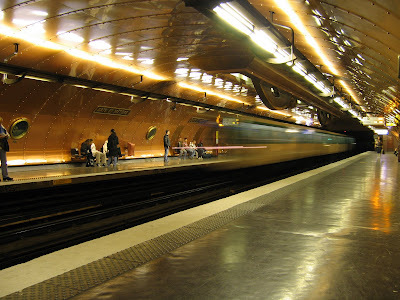 Photo taken by Alex Fortney, more info about Métro de Paris on his website. Pictures from museum official website. I was there just a few months ago. 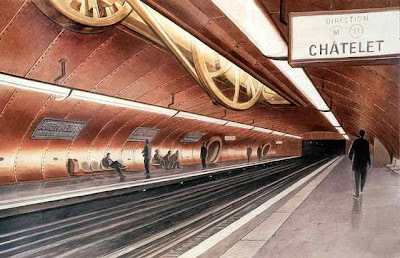 They should make every metro station in Paris look like that. Quite impressive, I say! 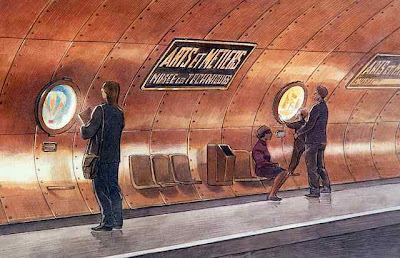 it's one of francois schuiten designs, a gateway to the obscure world (le monde obscure). check www.urbicande.be, his homepage. Wow very impressive place and i can say that it looks very relaxing, the design it's very modern too.